I have a backlog of stories and photos to share with you. Just been too busy to process them all and post. Here are a few photos that I managed to capture despite the weather lately. The first is a Prothonotary warbler - a bird that loves to be near wet woods. A beautiful deep yellow warbler with black wings. This one happened to perch directly over my head and look down at me. This next one is a Chestnut-sided Warbler - as if that was the only distinguishing mark on the bird. 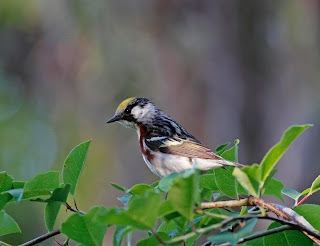 How about yellow-capped? 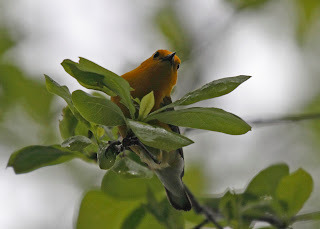 Again, this bird flitted around really close to me. 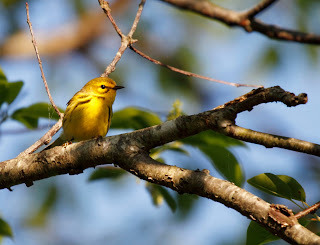 This one is Prairie Warbler - a bird with a terrific song that you can hear from long distances. It also happens to be really handsome too. Here is a female Summer Tanager. Not stunning but a treat nonetheless. Lastly, male Rose-breasted Grosbeak - with an actual rose breast. This poor guy only has one eye. I hope he gets by with only one eye. 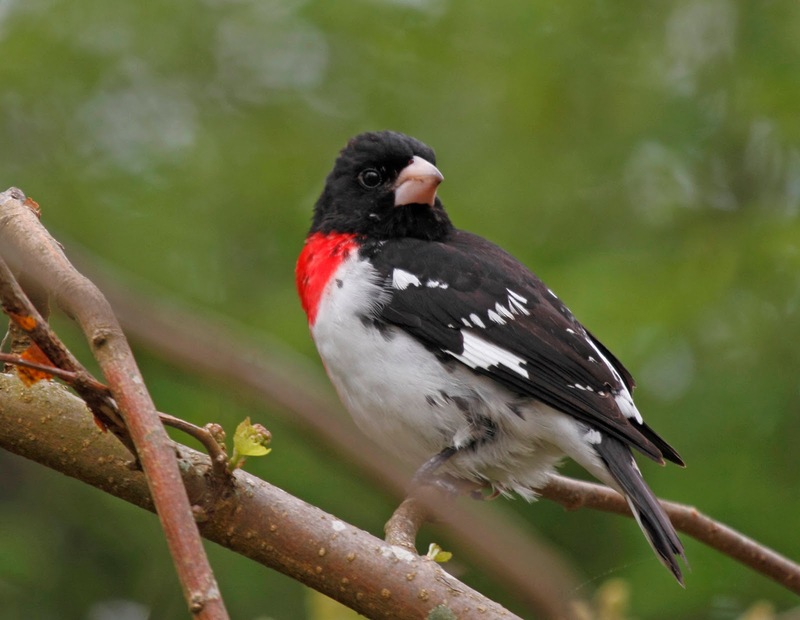 I wish I had more photos to share with you but some of the birds that we've encountered this spring have not been willing to pose for me. 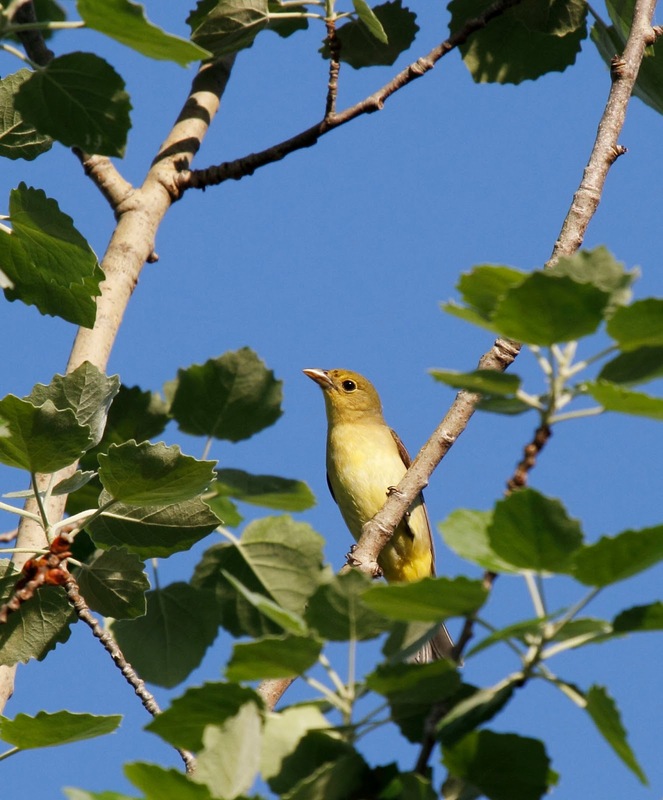 Some of them have only been identified by sound - like Hooded warbler and Kentucky warbler. Next post will be shorebirds.